From the Greenway to the Budget, from Red Light Cameras to City Council. 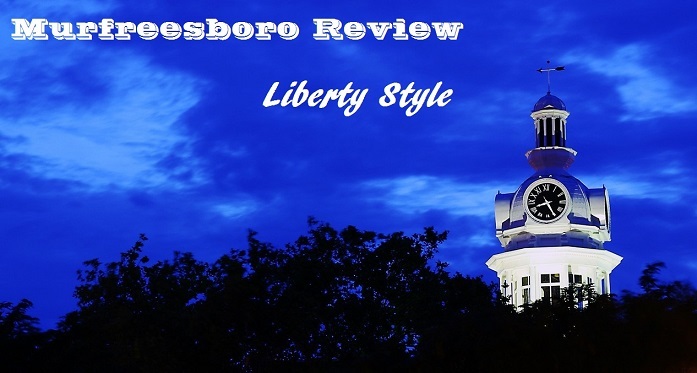 A review of Murfreesboro, Liberty style. Former 4th District Congressional candidate John Anderson has an idea: bring about citizen self-governance by dismantling the current system of party politics and big money. He ran against State Sen. Jim Tracy and US Rep. Scott DesJarlais in the 2014 Republican primary. Sen. Tracy had huge sums of money and Rep. DesJarlais was the incumbent. Mr. Anderson was just a regular guy. He ended up coming in 3rd place after receiving nearly 4,600 votes - which cost his target, Sen. Tracy, the election. He did this by doing what current US Senator Lamar Alexander did back when he ran for Tennessee Governor in 1978 - traveling the area on foot (or, in Mr. Anderson's case, cycling) and talking to voters one-on-one. Now, John Anderson, who lives in Bedford County, is going to take his unique personality and particular message to the rest of the country. Below is his guest article submission to MurfreesboroReview.com describing his Rebellion Ride. "Revolution" is now a much-bandied word, and it annoys me. Search Facebook and discover "Ted Cruz Revolution 2016." Cafe Press, an on-line retailer, will sell you a "Bernie Revolution" t-shirt for $27.99. Sarah Palin, Black Lives Matter (George Soros), Rush Limbaugh, Time magazine... Revolution, revolution, revolution. They all spout it. Next it will be the J.C. Penney Revolution Sale. It more than annoys me. It makes me angry that all these posers - and that is what all of them are - have appropriated one of the most powerful words in the English language and thereby are cheapening it. Rebellion Ride is real revolution. We are actually, truly going to overthrow the government. We aren't going to modify it or alter its course some. We are going to burn it to the ground and replace it with what was intended. Rebellion Ride doesn't just talk. We do what we say we will do. In 2014, with no money and no campaign organization, I ran for a seat in the U.S. House of Representatives. My initial motivation was to bring about one of the most surprising national election upsets in that or any recent congressional election year by winning enough votes to alter the outcome of the race. A particular candidate was overwhelmingly favored to win the seat. He had all the money and powerful endorsements. National political publications said that he was a shoo-in. He had been dishonest about some state education matters that are quite important. I wanted to punish him publicly and make him an example. I knew I wouldn't win the congressional seat; I wanted to make him lose. I campaigned by backpacking continuously over 700 miles throughout the sprawling, gerrymandered, 6,000 square mile district, sleeping in my tent at night by the side of the road. I preached against my targeted opponent and for real political revolution. My one-man, no-money traveling campaign did so stunningly well that, after the election and weeks of contentious recounting and splashy national headlines, my victim lost to another candidate by 38 votes. It made the Wall Street Journal and the Washington Post, and I decided that if a retired schoolteacher could change a congressional election, he can change the nation. Rebellion Ride is going to overthrow the government without bloodshed or physical destruction. The first American Revolution gave us that gift, the ability to non-violently transform our governance. 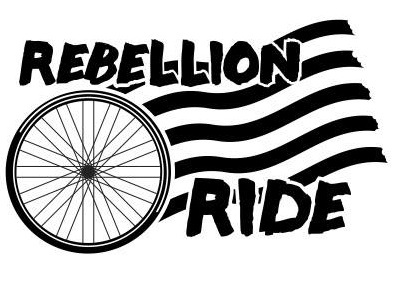 Rebellion Ride is the second American Revolution. Paul Revere left Boston on the 18th of April in 1775 to announce what would be the real start of the first American Revolution. Rebellion Ride leaves Seattle, Washington, on the 18th of April, 241 years to the day after Revere left Boston. I will bicycle for three months across the continent to Jacksonville, Florida, 3,500 miles, fomenting political revolution, genuine revolution, all the way. We are going to destroy political parties and eliminate the influence of money in governance. Congress will become absolutely transparent and in the public view constantly via the most advanced surveillance streamed to the Internet. There will be nothing done secretly or behind closed doors (exceptions for real national security). Every member of Congress will be watched and listened to all the time. It will be a crime for two or more members of Congress to discuss any public business except when under the surveillance of the Capitol cameras and microphones. Members of Congress will serve only one term, and during that time they will work at least ten hours per day, six days per week, fifty weeks per year doing actual legislative work to solve problems and improve the future. There will be no fund raising or campaigning for re-election because there will be no re-election. There will be no way to take money from lobbyists. Most Americans would consider those ideas and say that they are not revolutionary at all, that they are just common sense. In fact, these transformations will alter our system of governance as profoundly as did the first American Revolution. Not a single current politician would agree to support any of these ideas. That is strong evidence of their revolutionary power and the threat they present to our present government. The unholy alliance of corrupt party politics and vast wealth that currently governs America will be destroyed and replaced by genuine citizen self-governance. The journey will be documented on Facebook at www.facebook.com/rebellionride. There will be photos, interviews with people all across the country, and textual commentary. You can follow it across the nation. I appreciate Jacob's allowing me this forum.